Cava wines? Order Spanish Cava wines online quickly and safely! Le Connaisseur runs a wide range of Cava's including Cava's of Faustino, Freixenet, Segura Viudas, Clos Amador, Codorniu, MVSA and Pere Ventura. If you are looking for a Cava that is not on our website please contact us. Cava is a sparkling wine from Catalonia. It may be White (Brut or Demi-Sec) or Rosé. The Macabeu, Parellada and Xarel·lo are the most popular grapes for producing Cava. Wine makers use almost the same traditional way of wine making as they use in Champagne to produce Champagne. 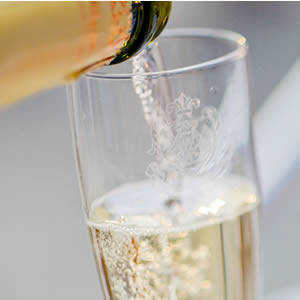 Cava is an inexpensive and nice alternative to Champagne.